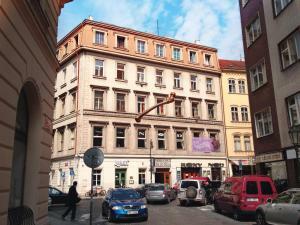 Travellers Hostel Praha Distance to the centre of town 1.9 km price per day from €24 Located in Prague’s city centre, Travellers Hostel Praha is just 50 metres from the city’s famous Roxy Music Club. 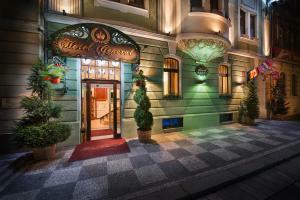 Palladium Shopping Centre is just 200 metres away and Wi-Fi is available at the hostel free of charge. A communal kitchen is available to all staying at Travellers Hostel Praha. Parking is possible in a secured garage at a location nearby and for an additional cost. The Dlouha Trida Tram Station is 150 metres away and the Old Town Square and Charles Bridge can be reached on foot in 6 minutes. Plus Prague Distance to the centre of town 3.9 km price per day from €32 Located in a quiet residential area, 1 tram stop and a 2-minute walk from the Nadrazi Holesovice Train and Metro Station, Plus Prague offers you en-suite rooms, an indoor pool, a sauna and free internet access. The Ortenovo namesti Tram Stop offers direct connections to the Old Town. The nearby Vystaviste exhibition grounds, the Incheba Arena and the Tesla Arena are easily reachable by tram within 10 minutes. 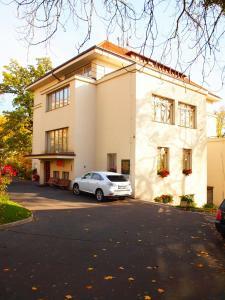 Church Pension Praha - Husuv Dum Distance to the centre of town 1.2 km price per day from €25 The centrally-located Church Pension Praha - Husuv Dum lies 400 metres from the Narodni Trida Metro Station. Guests can relax on the property’s rooftop terrace, which has views of the city. 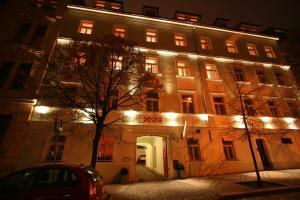 All rooms at Church Pension Praha are equipped with extra-long beds and wooden furnishings. Most of the rooms offer a private bathroom, while others have shared bathroom facilities. The guest house serves a buffet breakfast in the common room, which also has shared kitchen facilities. Gallery Hostel Distance to the centre of town 1 km price per day from €25 Situated a 10-minute walk both from the Old Town Square and the main train station in Prague, Gallery Hostel comes with simply furnished rooms, a common area with a TV and a bar. Several restaurants are surrounded around the building. The closest grocery store for self-catering purposes can be found 150 metres away. 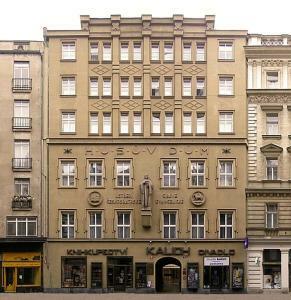 The Wenceslas square is 200 metres from the Gallery Hostel. Hotel Jana / Pension Domov Mládeže Distance to the centre of town 1.2 km price per day from €24 The Hotel Jana / Pension Domov Mládeže is located in the quiet residential district of Vinohrady, within easy reach of Prague's centre; it offers free Wi-Fi and a tranquil garden. Guests can choose between en-suite rooms equipped with a satellite TV and a fridge and rooms with shared facilities, both at value-for-money rates. The Hotel Jana / Pension Domov Mládeže's terrace provides panoramic views over Prague's Old Town. A Plus Hotel & Hostel Distance to the centre of town 1.6 km price per day from €54 Only a 10-minute walk from Prague's Wenceslas Square and the Old Town Square, the A Plus hotel&hostel is 80 metres away from Florenc Bus Station. Czech and international specialities are served at the restaurant. The hostel's bar is open until the early morning hours. 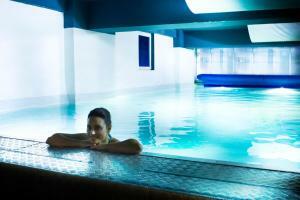 The rooms come with shared or private bathrooms and they are individually coloured in orange or blue tones. A Plus hotel&hostel offers free Wi-Fi in the public areas. 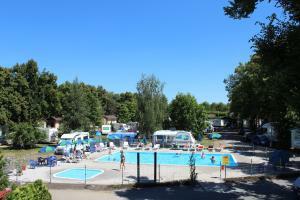 Camping Sokol Praha Distance to the centre of town 10.5 km Just 600 metres from Praha-Dolni Pocernice Train Station, this mobile home is located on a spacious campsite, featuring a scenic lake and nature park. The mobile home at the Camping Sokol Praha features a private bathroom, sofa bed and tea and coffee making facilities. Guests enjoy a fully equipped kitchen, featuring a microwave, fridge and dining area. In good weather, visitors can relax outside on the paved terrace with table, chairs and sun umbrella.